Not only will you find the towns and villages of the English countryside less hurried than London, you will also have the chance to explore the castles, palaces, and gardens just a short drive from London. In the charming villages of the Cotswolds you can see Shakespeare's birthplace and walk in the footstep of the Bard. The university towns of Oxford and Cambridge are packed with attractions and demand to be explored for at least a day, while wonderful outdoor areas like Box Hill, the New Forest, and Windsor Great Park will appeal to nature lovers. 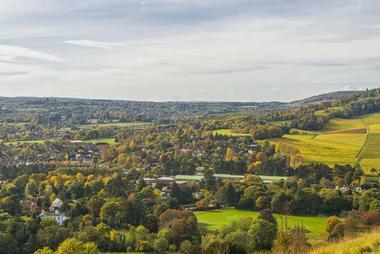 When you need a break from the sensory overload of London, Box Hill in Surrey is a great family-friendly place to visit for fresh air, walking, hiking, and wildlife viewing. You can get active along one of several walks, which vary from a gentle stroll suitable for young children to a fairly strenuous 8-mile hike through the beautiful Surrey countryside. You can visit the remains of the Old Fort, which is one of 13 defensive forts built along the North Downs in the 1890s to defend London. Families can borrow a kite or tracker pack at the Shepherd's Hut and practice balancing skills on the Natural Play Trail and the Stepping Stones Walk. When you have worked up an appetite, you can visit the café for home-made cakes, sandwiches, and light meals. 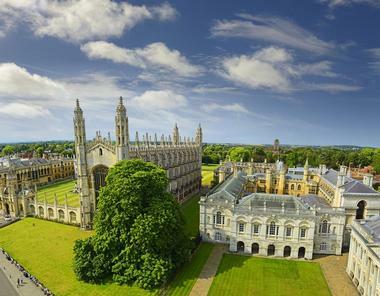 Situated less than an hour from London and easily accessible by car or train, Cambridge is home to one of the world's oldest universities and is filled to the brim with memorable attractions. 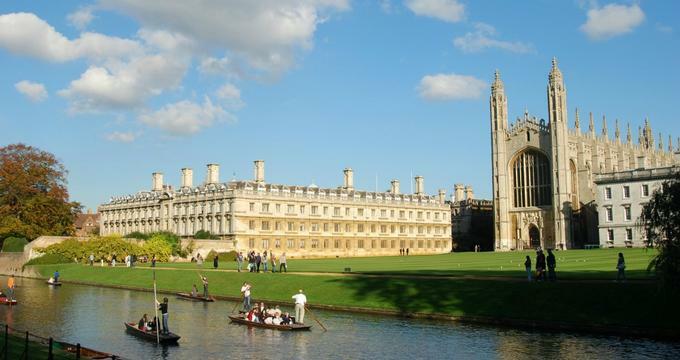 At Cambridge University you can take a guided tour of the King's College Chapel and the Fitzwilliam Museum (art and antiquities), before strolling through the Cambridge University Botanic Garden. 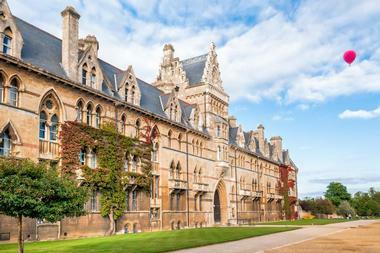 There are several other impressive colleges and churches you can visit on a guided walking tour, including Christ's College, Clare College, and Great Saint Mary's Church. The town is filled with other interesting museums – you would need several days to do them all justice. When you need a break from historic attractions, you can go punting on the River Cam. 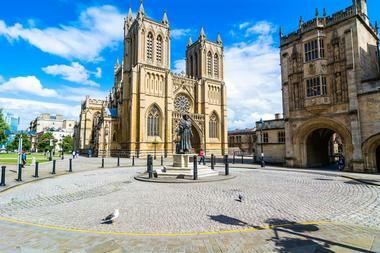 Bristol is located on the southwest coast of England and can boast an illustrious maritime history. Today, the city is an important cultural center and the former port has been converted into the Harbourside development, where you can visit lively markets, bars, and restaurants and also access a wide range of water sports. Bristol is best explored on foot and you can join a guided walking tour at the tourist information center on the Harbourside. The famous street artist Banksy grew up in Bristol and fans should not miss the Banksy Walking Tour. Other must-see attractions for art lovers include the Arnolfini, which is a contemporary art gallery, and the Royal West of England Academy. There are plenty of historic attractions to please architecture and history enthusiasts, such as the Architecture Center and Charles Wesley's House. Setting off to explore the Egham to Runnymede Countryside Circular Walk is a great way to get some fresh air and exercise and see some interesting historic sites at the same time. The circular trail winds along the banks of the Thames River around the Runnymede Nature Reserve, through ancient woodlands and wildflower meadows filled with rare plant species. You can expect to take about two hours to walk the full trail, which is just under 4 miles long. 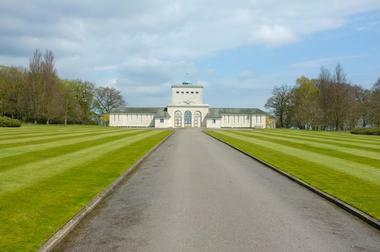 Along the way you can visit the famous Magna Carta Memorial, where the famous charter was sealed back in 1215, and the John F. Kennedy Memorial, which is situated on an acre of land donated to the USA by England. Besides being a colorful beach destination for over 100 years, Brighton is also considered to be one of the most cultural cities in Europe. If you are visiting in summer, you can spend some time on the pebbled beach, but even if the notorious British weather is less than perfect you will find plenty of attractions to keep you busy. You can listen to top bands play at the Brighton Centre, see a West End show at the Theatre Royal, or visit Brighton Dome for music, opera, and ballet. History buffs can visit the Royal Pavilion Palace and Museum and the Edwardian-style Preston Manor. 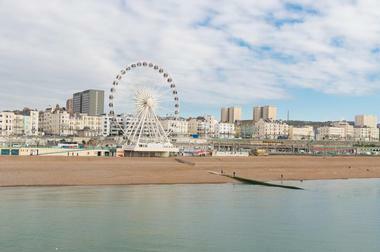 In addition, you can tour several other interesting museums, enjoy great shopping, and take the children to SEA LIFE Brighton. Strawberry Hill House is internationally renowned as Britain's finest building in the Georgian Gothic Revival style and is a must-see for history and architecture enthusiasts. 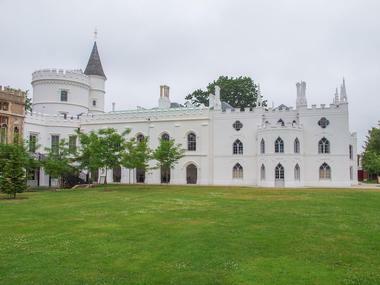 The house and garden were built by Horace Walpole in the 18th century, when it afforded sweeping views over meadows and woodlands to the Thames River. You can explore the sumptuous interior on a self-guided tour from around March to October while guided tours are offered on Wednesdays and Saturdays. Highlights of your tour will include the Hall and Staircase, the Great Parlour, the Gallery, and the Round Room. The gardens, which are currently being restored to their original glory, are open all year round and are a great location for a peaceful walk. Come by train or underground from London – there is very limited parking. 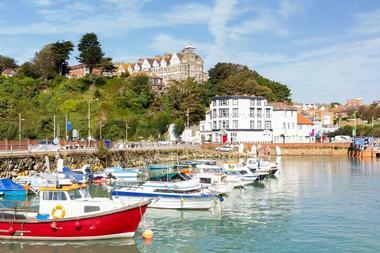 Folkestone and its neighboring villages and countryside are the perfect antidote to the hustle and bustle of London, offering a great combination of arty, outdoor, historic, and culinary attractions for day trippers. You can start your visit by exploring Folkestone's unique cobbled Creative Quarter, which is home to over 100 artists' galleries, studios, and eateries. To catch a glimpse of France you can take a walk along The Leas, a mile-long clifftop promenade, and then take a ride to the Lower Leas Coastal Park to enjoy the beach, amphitheatre, and children's fun zone. History buffs can visit the Kent Battle of Britain Museum and the skull-packed ossuary in the 10th century St. Leonard's Church in nearby Hythe. The area abounds with great restaurants serving up fresh seafood – be sure to try the local Dungeness crab. If you have ever had the urge to lose yourself in a sea of fragrant purple lavender, you can live out your dream at the Mayfield Lavender Fields in Surrey, just 75 minutes from central London. This 25-acre certified organic lavender farm is visually stunning in July and August when the flowering plants provide the most amazing backdrop for photographers and the scent of the lavender is at its best. Besides indulging your senses in the fields, you can also visit the shop, which stocks a wide variety of lavender-based products and preserves from the 450-tree apple, pear, and plum orchards. 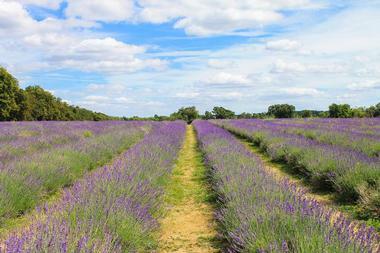 The Lavender Fields are open from June to September. In just 20 minutes (by train – about an hour by road) you can find yourself in the 2,000-year-old cathedral city of St. Albans, where you can spend an interesting day admiring beautiful medieval architecture and Roman ruins. 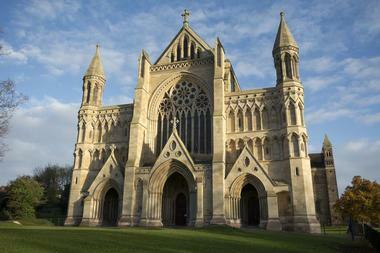 You can't miss the impressive St. Albans Cathedral – it is visible from just about any vantage point in town. Come and admire the eclectic architecture and the shrine of St. Alban – Britain's first saint. At the site of the Roman town of Verulamium you can visit the excellent Verulamium Museum, the Roman Theatre of Verulamium, and the remains of Roman shops and residences as well as see the unique Hypocaust, a Roman mosaic. Other top-notch attractions include 21 historic properties on the Wheathampstead Heritage Trail, the de Havilland Aircraft Museum, and the Willows Activity Farm, a firm favorite for families. The Cotswolds cover over 800 square miles comprising ancient market towns, quaint and charming stone villages, palaces, castles, country houses, and stunning formal gardens – quintessential England in a nutshell. There is certainly too much to see on a single day trip and you should definitely plan to stay in the region for a few days to get the most out of your visit. 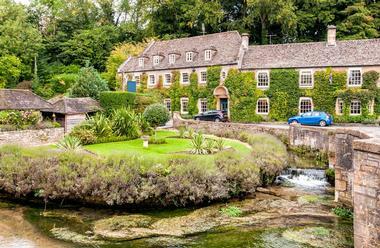 The picture-perfect stone villages of Bourton-on-the-Water, Bibury, Upper Slaughter, Lower Slaughter, and many more will vie for your attention, while art lovers should definitely include Cirencester and Chipping-Camden on their list of must-see towns. Blenheim Palace is undoubtedly a must for everyone, while Sudeley Castle, the Pittville Pump Room, and Berkeley Castle will all appeal to lovers of history and architecture. 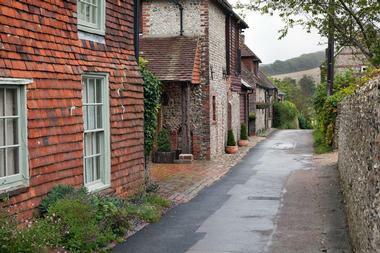 Alfriston is a historic village surrounded by wide open spaces, offering a great break from the hustle and bustle of London. Within just over an hour you will find yourself among the picturesque Wealdon South Downs, which offer a selection of good hiking trails. Within the village you can visit the 14th-century Alfriston Clergy House and Garden and St. Andrews Church, which was built in 1360. Wine enthusiasts can enjoy a tasting and tour of the Rathfinney Wine Estate (hiking trails through the vineyards), while families can visit Drusilla's Park (an award-winning zoo) and Middle Farm, where the children can watch the Jersey herd being milked while the adults shop for meat, cheese, and fresh produce. Garden enthusiasts will love Follers Manor Garden, which has featured on several TV garden shows. 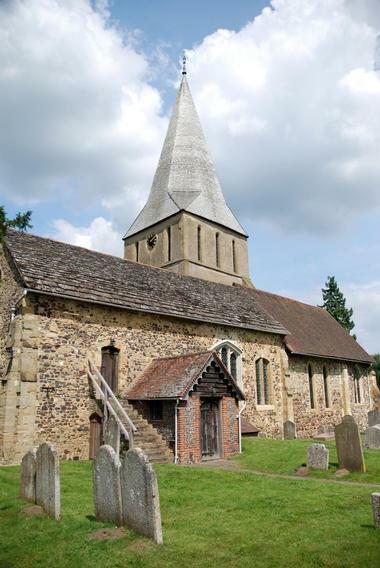 Shere is widely acknowledged to be the prettiest village in Surrey and is often used as a film set – it is a great day trip destination for anyone interested in history and architecture. As you stroll through the village, you will notice that the cottages are built in a mixture of styles representative of the 15th to 20th centuries. In the center of Shere you can admire the oldest buildings, mostly dating back to the 16th and 17th centuries, with many examples of timber-framed homes. If you take a walk down Lower Street, you will find yourself wandering along the Tillingbourne River to the Ford, where you can see the Old Forge and the Old Prison. On the other side of the river you can visit the Old Fire Station, dating back to 1885. 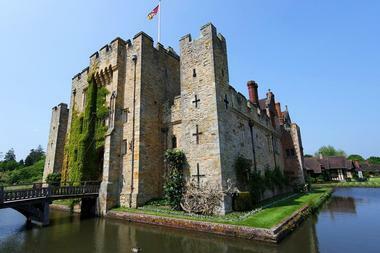 At Hever Castle you can step back in time as you explore the romantic 700-year-old castle, gardens, and lake that were once the home of Anne Boleyn, the second wife of Henry VIII and mother of Queen Elizabeth I. You can join a guided tour of the sumptuous castle or stroll around at your own pace with an audio guide. American visitors may be surprised to hear that much of the renovations of the castle were made possible by William Waldorf Astra in the 20th century. After you have admired the interior of the castle, you can enjoy the lovely themed gardens, which include a rose garden, an Italian garden, and a Tudor garden. Families can have hours of fun finding their way around the Water Maze, the Yew Maze, and the adventure playground. 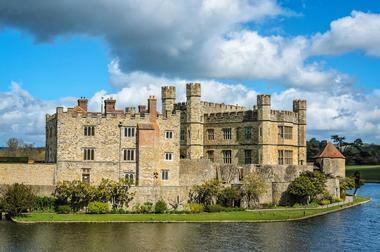 At Leeds Castle in Kent you can seize the chance to tour a genuine 900-year-old castle that is still surrounded by a defensive moat and is set in 500 acres of parkland and formal gardens. At the Gatehouse Museum you can get an overview of the castle and, to fully appreciate your tour, you can hire an audio guide that will bring the history of Leeds Castle to life. In addition to admiring the sumptuous rooms and galleries, you can also visit the unique Dog Collar Museum. Outside, the adventure continues and you can visit the Birds of Prey Center to watch a falconry display, wander around the beautiful themed gardens, and view wildlife in the parklands. Children will love the maze, the Knight's Realm Playground, and feeding the lovely black swans. 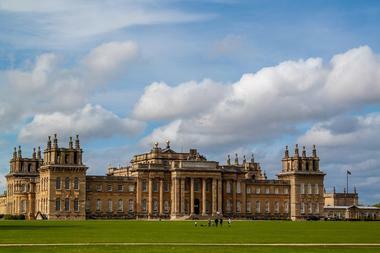 Nobody should miss the opportunity to tour the 300-year-old Blenheim Palace, a masterpiece of baroque architecture and the birthplace of Winston Churchill. Although considerably younger than some of Britain's other castles and palaces, admiring the sheer scale and opulence of this World Heritage Site is an unforgettable experience. You can take a guided tour of the different areas of the palace and then spend some time visiting the Churchill Exhibition and the interactive Untold Story exhibit. 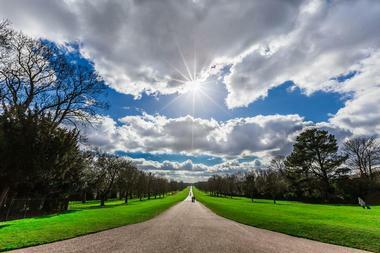 Outside, you can take a narrated buggy tour of the lake or stroll through 150 acres of stunning formal gardens. Children will enjoy the enormous maze, the butterfly house, and the miniature train. 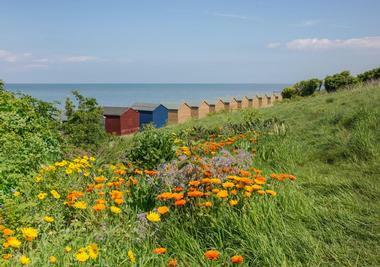 Whitstable is a favorite destination for beach lovers, history buffs and, above all, seafood lovers. This lovely stretch of Kentish coastline is famous for fresh oysters and other seafood and foodies will have a great time "sniffing out" the Whitstable Fish Market and finding the best seafood restaurants. The town has a historic harbor and history buffs can also visit the Whitstable Castle, which dates back to the 1790s and is set in beautiful gardens, and then tour the Whitstable Museum and Gallery. You can spend a few hours exploring the Whitstable Alleyways, once the domain of pirates and smugglers. The pebble beaches of Whitstable are great for walking and watching the sunset while the sailing and windsurfing is excellent offshore. The historic university city of Oxford is also known as the "city of dreaming spires" and features over 1,500 listed buildings showcasing just about every period of English architecture after the 12th century. The compact city center is easy to explore on foot and, in addition to the wonderful architectural legacy, you will also be able to walk the hallowed halls of Oxford University and visit some of its 38 colleges. History buffs will be blown away by the superb museums, which include the Ashmolean Museum and the Bodleian Library. The Story Museum is a firm favorite with families and other must-see attractions include Oxford Castle, the Radcliffe Camera, and the Pitt Rivers Museum. Virginia Water is a lake located in the heart of Windsor Great Park, overlooked by the stately royal residence of Windsor Castle. The lake was originally a private royal pleasure ground, but is now open for all to enjoy. The beautiful lake is surrounded by stunning gardens and pathways that you can explore on foot. If you are feeling energetic, you can walk all the way around the perimeter of the lake – a circuit of around 4 miles – or you could simply stroll through the lovely woodlands and forest of The Valley Gardens. You can bring a picnic to enjoy at picnic tables in front of the pavilion or on the extensive grassy lakeshores. History buffs will particularly enjoy the Leptis Magna (Virginia Water) and children all love the 100-foot Totem Pole. 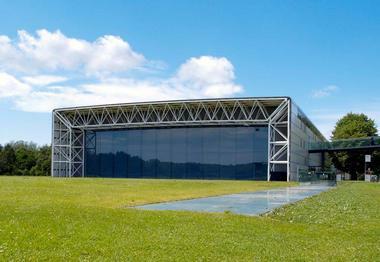 Art lovers should not miss the chance to visit the Sainsbury Centre for the Visual Arts, located in the exceptional Norman Foster Building on the campus of the University of East Anglia in Norwich. Here you can see some of the massive permanent collection of artworks that span over 5,000 years of artistic endeavor and include works by illustrious artists like Picasso, Francis Bacon, Edgar Degas, and many more. In addition, the centre features regular touring exhibitions – visit their website for an events list. You can join a guided tour at 11 am or 2 pm (Tuesday to Sunday). Outside, you can stroll through the sculpture garden and view some remarkable outdoor art by Henry Moore. 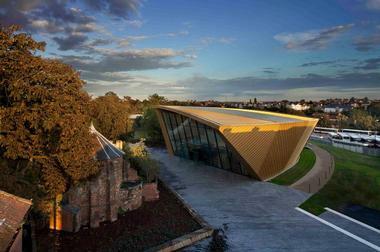 Firstsite is a delightfully different art center and gallery located in the historic city of Colchester in Essex. Here you can view rotating exhibitions of work by both local and international artists as well as attend workshops, regular art events, and various other activities suitable for all ages. In addition, you can take part in a wide range of "arty" film viewings and watch the ballet or an opera. You can join a guided exhibition tour on Wednesdays and Saturdays at 1.30 pm. After your visit to Firstsite, you can do a tour of some of the city's historic attractions such as the Natural History Museum, the Hollytrees Museum, Colchester Castle, and Colchester's Roman Wall. Dover is famous for its spectacular white cliffs, which rise majestically from the English Channel to welcome all Britons returning from Europe. However, Dover has a great deal more to offer visitors, including many miles of beautiful coastline, castles, and historic mansions as well as great outdoor activities. 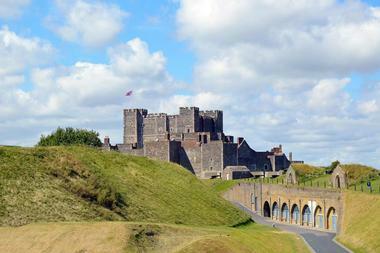 History buffs can visit the Dover Transport Museum or the Dover Museum and Bronze Age Boat Gallery to learn about the early days or head to Deal Castle and Dover Castle to soak up the medieval atmosphere. There are several wonderful gardens to delight nature lovers, and the beaches offer fishing, boat charters (for fabulous photos of the famous White Cliffs), and various water sports. 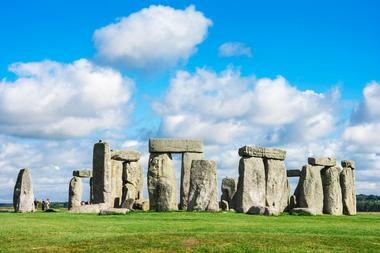 No visitor to Britain should miss the opportunity to see legendary Stonehenge, the world's most famous prehistoric monument and a significant World Heritage Site. Due to large visitor numbers, you should definitely pre-book your slot to avoid disappointment. Visitors are advised to start their tour at the visitors center, where you can watch a 360° audiovisual presentation that will bring the site's fascinating history to life. Besides viewing the stone circle and learning about this mysterious miracle of ancient engineering, you can also view five carefully recreated Neolithic houses furnished with replica Neolithic tools and watch volunteers demonstrate various prehistoric skills. The New Forest is an extensive area of quaint towns and villages, wide open spaces, parklands, forests, moors, and clifftop pathways located on the south coast of Britain, just 90 minutes by train from London. The entire area just begs to be explored, so give yourself enough time to savor the variety of activities, which include walking, hiking, cycling, mountain biking, and scenic drives on land as well as sailing, canoeing, kayaking, and more from the beaches. 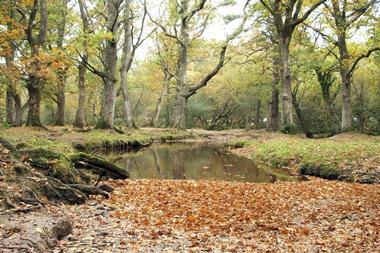 The New Forest is famous for its wild horses and donkeys and equestrians can join them on a gallop across the moors. You can enjoy great shopping and dining in the towns and villages, visit the famous Beaulieu Motor Museum, or relax at one of the health spas. Although Stratford-upon-Avon will always be synonymous with William Shakespeare, you do not have to be a fan of the Bard to enjoy the sights and sounds of this historic city. 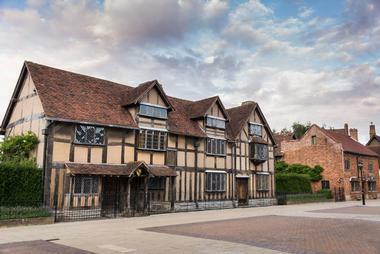 You can take a self-guided walking tour of the city (a selection of guides can be downloaded) or take advantage of a narrated open-top bus tour, which will call on all the major attractions including Shakespeare's Birthplace, Ann Hathaway's Cottage, Mary Arden's House, and the Royal Shakespeare Theatre. When you need a break from all things Shakespeare, you can go on a 45-minute canal boat tour, visit the lovely wood-framed Harvard House (1796), or watch wheelwrights and blacksmiths ply their trade in Chedham's Yard.